The 450km line will link the holy cities of Makkah and Madinah via Jeddah and the King Abdullah Economic City of Rabigh. There will be eight services daily in each direction until the end of the year, according to the news on Saudi Gazette. Trains on the line will travel at speeds of 300kph, is expected to cut down the amount of time taken to travel between Mecca and Madinah to two hours. 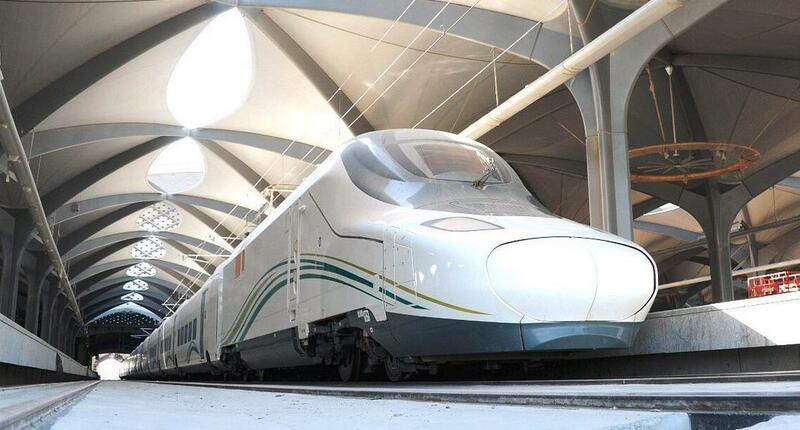 It will also shorten the travel time between Jeddah and Mecca to half an hour. The city of Mecca is the birthplace of Prophet Muhammad and is considered to be the holiest place in Islam. With a population of 1.7 million, each year the city attracts about 2.5 million Hajj (Hajj is a pilgrimage to Makkah) pilgrims and more than two million Umrah (performing the small Hajj) performers during the month of Ramadan and seasonal holidays. In addition, there is heavy passenger movement on Fridays along with the regular commercial traffic. The city does not offer many public transport options to citizens, as well as pilgrims. The only options available are personal vehicles or private taxis. During the Hajj period pilgrims are transported by a large fleet of buses. The Haramain project was conceived to address the transportation needs of the growing number of pilgrims visiting Mecca, Umrah performers and the people of the city. According to a study by the Ministry of Hajj, in the next 25 years the number of pilgrims is expected to increase to more than three million and the number of Umrah performers to more than 11 million. The annual increase is expected to be 1.4% for pilgrims and 3.14% for Umrah performers. A train service was chosen as the best option to provide safe and comfortable travel for the pilgrims and to relieve the pressure on the roads connecting Mecca and Madinah. The project is expected to link a number of centres, boosting local businesses and tourism.